Summer is not over but if you don't have time to go to the beach, climb a mountain or just commune with nature, you can still have a fun-filled experience at Alviera's newest fun offering GoPlay! Alviera recently launched GoPlay, a large play area for kids and kids-at-heart in Porac, Pampanga. 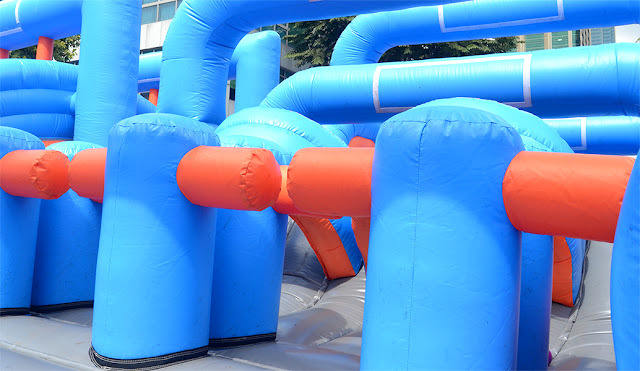 If you love the fun and games in popular TV shows such as Takeshi's Castle, Wipeout and Gladiator then you will love experiencing the various games patterned after these shows. GoPlay takes fun to a different level with bouncy inflatables, relay games, mental challenges and other wacky games that families and barkadas will love. 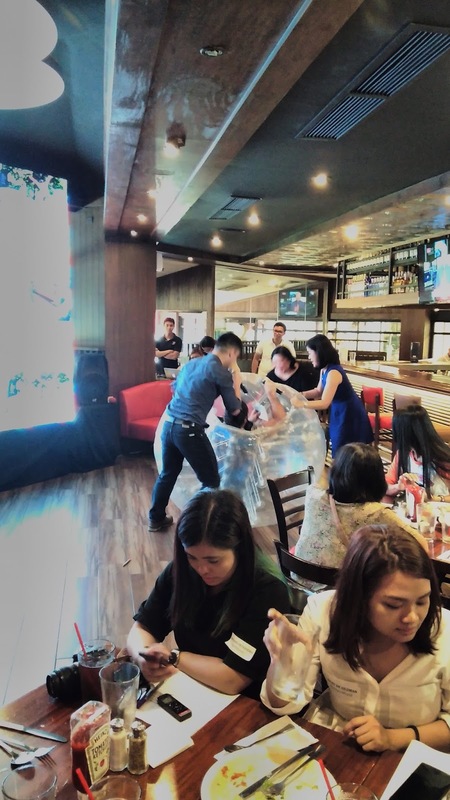 We got a glimpse of these games at the GoPlay Launch held at TGIFridays, Glorietta 3. There was the fun-looking zorb ball that makes it a challenge to stay upright but you'll surely be having fun while you're bouncing around. One of the emcees trying out the zorb ball at the GoPlay Launch. We played several games during the launch and seeing how fun all of them were, and challenging too, we can't get enough of the fun that this new addition of activities will have in store for friends and families as well as work colleagues. Here's a glimpse of what awaits participants. If you want to get in on the fun, here is a guide to some of the fun challenges you can enjoy. Wacky Infatable Challenge - Bounce, crawl, climb and conquer the course in less than 2 minutes. Breakout Philippine Escape Room Game - The country's premier escape room game! Form a team, find clues and escape before time runs out. The Drink Challenge - Slip and slide to get your bottled beverage's content on to a giant mug. 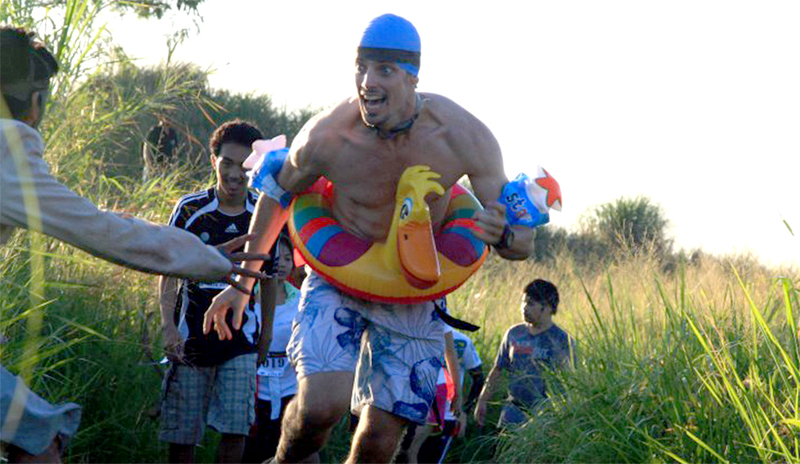 Then run and tag your teammates during the relay. Finally, all of you must slip and slide back to your mug and sip the mug empty with straws. Binocular Basketball - Try making 3 successful lay-ups in 2 minutes while wearing a binocular helmet. Human Foosball - Exactly what it sounds like, with players stuck to a moving pole and tasked with scoring a goal. Agawan Base: Zorb Edition - Charge your way to the enemy's base in the ultimate roll-around costume. 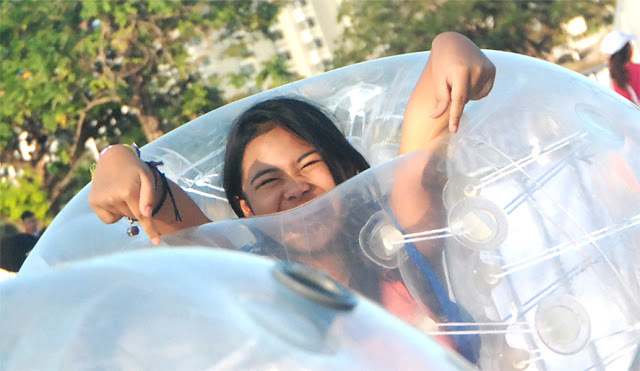 Roll, bounce and repeat, all while in a zorb ball. Explore the Unknown - Collect objects from different containers while blindfolded to win the prize. Nothing icky in there, right? Maybe. Dizzy Penalty Kick - Spin around and then make a dizzy attempt to score a penalty kick, with 4 other competitors around you. The Gladiator - Face off against an opponent on the pedestal platform while everything but the kitchen sink is thrown at you. First one to do 5 knockdowns wins! Sumo Relay - Race against time in sumo suits. Photo Mission - Here are 10 pictures for your team to replicate as accurately as possible. Submit them anytime you think you've got them perfect. Brain Games - Your team has got to put its head together for some mind exercises to solve puzzles and illusions. Communication Game - A team member must direct his mates to correctly arrange items on the floor except they're all blindfolded. Caterpillar Run - The team steps inside a circular tarpaulin track and must walk in unison as the track passes through their hands. Sounds simple but you have to do it within 3 minutes. Getting excited yet? If you are, then you might be ready for more extreme challenges like these two. Buzzingo - An absurdly fun version of Bingo that will only be played 3 time during the day. It will not require points to participate but players will have to risk their tickets for Bingo cards. Winning will take you 1,000 tickets! Extreme Jack & Poy - Risk 5 tickets and try to win 6 consecutive battles in a contest that knows no age, skill, experience or gender. The winner takes all the tickets of the losers. 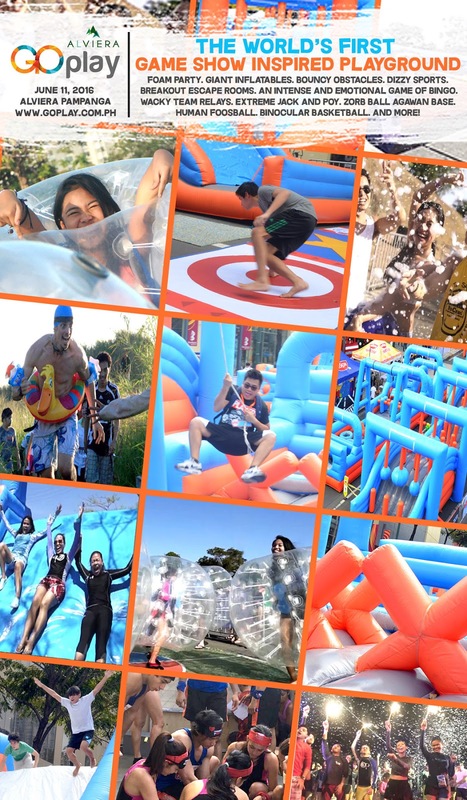 If you and your friends just want to have some fun while watching competitors going through their challenges then you can head on to several fun facilities. Foam Bash - Dance around the foam pit set up in front of the stage every hour as local DJs spin some cool summer hits. 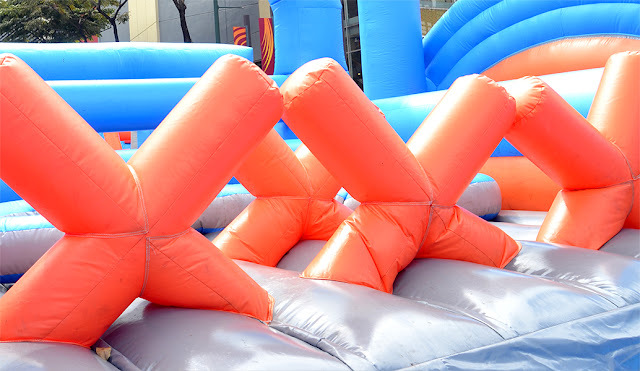 Inflatable Play Area - Open for children 13 years old and below. Food Stalls - Players and visitors won't go hungry with a wide array of food entrees. So how do you get on the list of fun people who want to experience GoPlay? Here's what to do. Pay online or via bank deposit or at the Breakout Philippines office along Katipunan Avenue. On-site registration in Alviera at the public opening on June 11, 2016 is also accepted but for a limited number only. 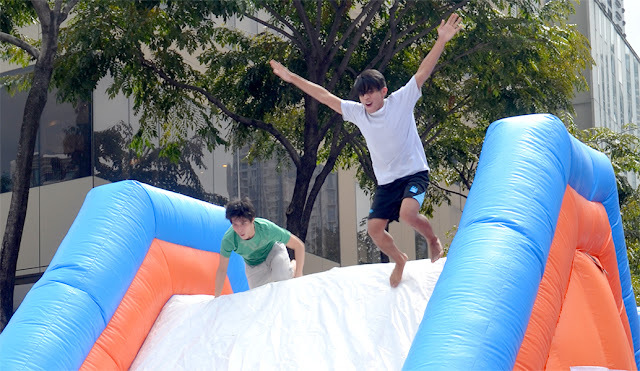 Alviera GoPlay will be held at the SandBox so visitors will have the option to purchase discounted tickets to enjoy SandBox attractions on that day. 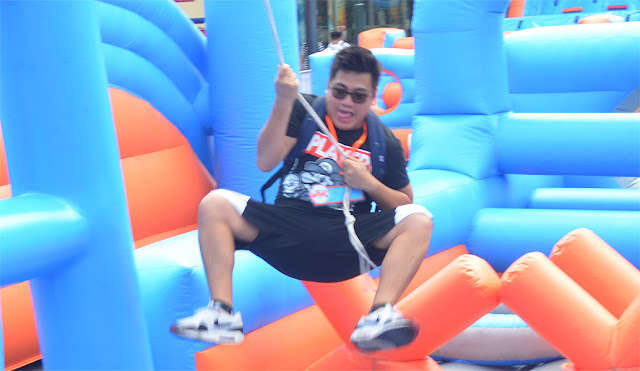 If you just want to watch the activities in GoPlay, you can still dance in the Foam Pit, take pictures and hang-out at the Food Stalls for some munchies. There will be some areas that are off-limits and will be exclusive for players only. The public opening is on June 11, so if you want to partake in the fun then get yourself a ticket by visiting www.goplay.com.ph. Or if you just want to check out the attractions, then ready the whole day for a lot of fun and excitement and get your camera ready too. Alviera GoPlay images and information from press kit provided during the launch. Image of emcee during launch is mine.